It's an easy, twenty-minute job. At least, that's the pitch from Interpol to professors Hollis and Finn Larsson. Going undercover to procure a priceless rare book manuscript means an all-expenses paid trip abroad. A little danger thrown into the mix may even spice up their marriage. 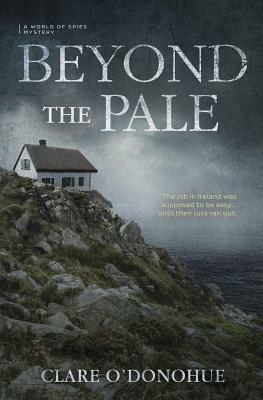 Soon after landing in the Emerald Isle, they realize the job is anything but easy. Their contact is a no-show and they're left with fifty thousand euros, a death threat, and some serious questions. Ducking and dodging their way across Ireland, Hollis and Finn must hunt down the priceless manuscript and a missing agent while trying to stay one step ahead of a dangerous and unknown enemy. Clare O'Donohue is the author of the Kate Conway Mysteries and the Someday Quilts Mysteries. She was a producer for the HGTV show Simply Quilts, and has worked on shows for the History Channel, truTV, Food Network, A&E, Discovery, and TLC.